I recently had the chance to do some backpacking in the Big Laurel Branch Wilderness. 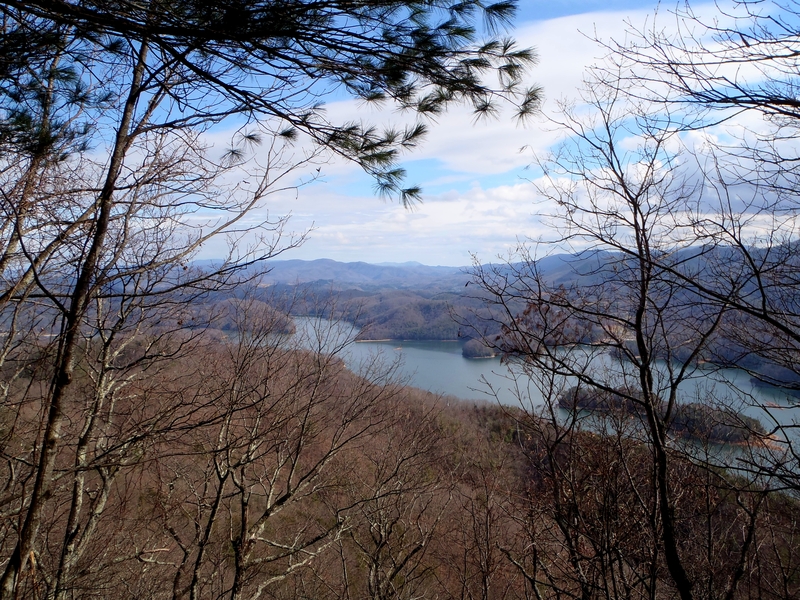 The area is just over 6,000 acres of wilderness situated just above the Watauga Lake in eastern Tennessee. This area is home to an abundance of black bear, fox, deer, and much more. 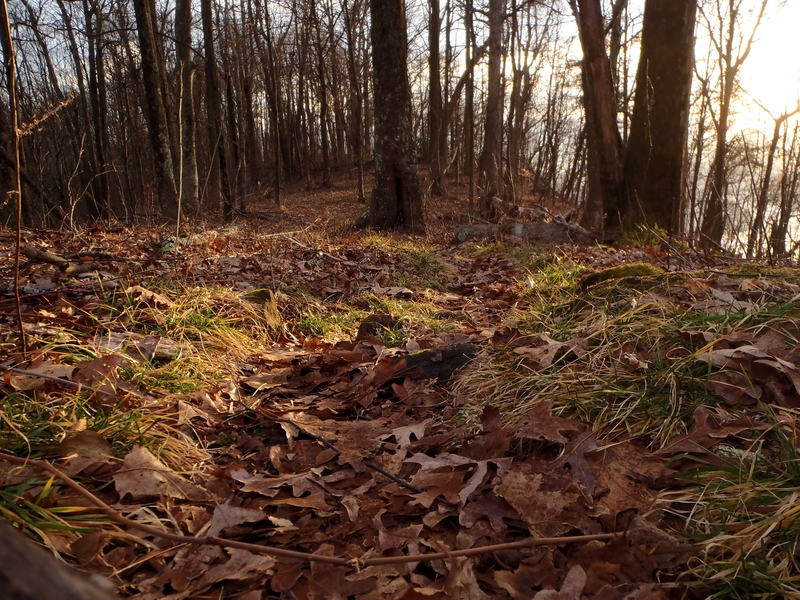 The Appalachian Trail cuts right through the middle of this section, offering great trails that climb the ridge crest and offer up impressive views of the shimmering lake below, as well as the surrounding mountains. This section of the AT begins at the lake, and ends in Virginia. 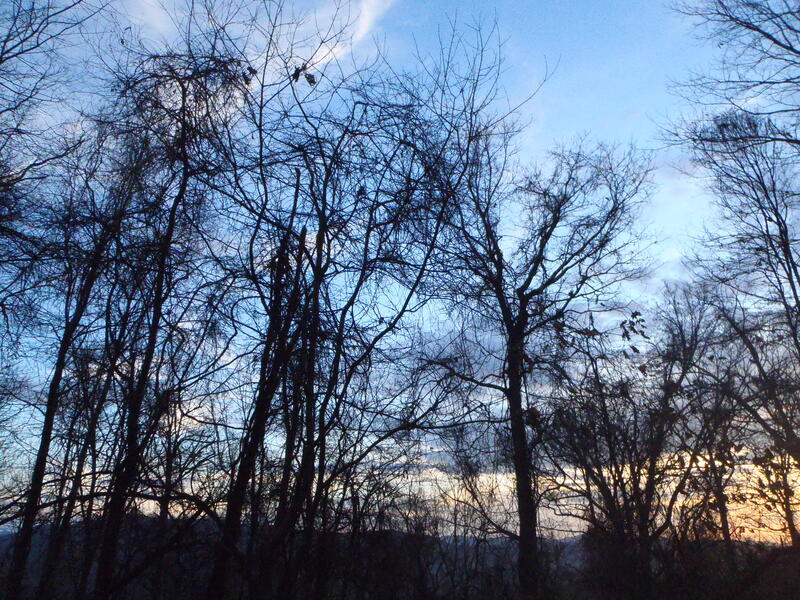 The best hiking is had in the winter months due to the abundance of plant life which can obscure the fantastic vistas. The Big Laurel branch website can be found here. Big Laurel Branch Wilderness, view of the lake from the ridge. A group of 5 and myself hiked along this rocky ridge on an unusually warm January weekend. Our hike began with a steep climb ascending the crest itself. Switchbacks were in no short supply, and had us zig zagging along the mountain for the first mile or so. Once we made it to the summit the trail leveled off and dragon backed for the rest of the trek. We set up shop few miles short of the anticipated 6 mile journey but we managed to find a fantastic camp spot high atop the ridge. The view offered a fantastic sunset, and slight views of the water shimmering playfully below. Our original plan had been to make it to the Vandeventer shelter, however we had some young companions with us (their first backpacking trip!) so we cut the journey short with the threat of impending rain behind us. A nice view of the trail. The night appropriately brought with it campfire joy, marshmallows, and great conversation while viewing the artistically detailed, and wildly illuminated star show above us. The sunrise was undeniably warm and welcoming, lifting the spirits and eyelids of the slumbering campers with its gentle orange hue. An easy downhill trek and a few miles later and we had made it back to civilization with enough time to explore the rim of the lake, while anxiously planning our real assault on this particular section of the famous Appalachian Trail, a long 20.3 mile through hike into Damascus Virginia.